Lenny Abrahamson has often had a fondness for outsiders (excepting his best film, What Richard Did, which focusses on an insider, albeit one who accidentally ousts himself) – indeed, to the level of fetish with his painful Frank. This has continued into his most mainstream film so far, Room, based on the novel by Emma Donoghue (here adapting her own book) itself in turn based on the Josef Fritzl case. Ma (Brie Larson) and Jack (Jacob Tremblay) lived in Room, a small garden shed fitted as a domestic prison. Ma has been imprisoned in Room for eight years and Jack, who is five, was born there. The film charts their ability to cope and survive. As off-putting as it is to consider a film, particularly one coming with all the bells and whistles of awards season marketing, based on so specific a case, in which there were real victims and real pain, Room largely manages to feel sincere and respectful. Donoghue and Abrahamson pursue their version through the eyes of a five-year old child who has no knowledge of the real horror of their situation. Any real abuse is seen by misdirection – seen through Jack’s perspective, we know what is going on even if Jack does not. Since the focus is so much on Jack, we can often forget that Ma (we find out her real name later in the film) is also a victim. Again, these scenes come through a degree of misdirection. When Ma, now Joy, comes home and back to her bedroom, untouched for eight years, Abrahamson knows to put the camera on her in this instance, bringing home sharply Joy’s own stolen years. It is a powerful little moment, done without show, but one that reminds us that Abrahamson does have his heart in the right place. Even in one sequence in which the film slightly starts to lose its way, Abrahamson and Donoghue pull it back. In one extended sequence, Joy’s mother Nancy (Joan Allen) opens the house to a TV crew for an exclusive interview with Joy. The film takes pokes at the media, suggesting that they might be immoral scavengers after any kind of marketable human misery that might give the viewing public a little emotional kick (if not full-on freak show) to mull on over with their dinner. The thought is inescapable: the film itself could be tarred by its own brush. However, the film addresses instead the responses of those disinterested observers, which are often as damaging and traumatic as any kind of media intrusion. The interviewer chastises Joy for keeping Jack with her, suggesting that a better parent would have convinced their captor (Old Nick, played by Sean Bridgers as a very sad and lost human rather than as a monster) to anonymously leave the child in care where it could have a normal life. This, though a morally valid argument, is a cruel and coldly logical view of the situation and is not one that Joy ever considered. What the film is then calling for is not so much a renewed attempt to understand the victims of abuse, but merely that we remain compassionate and accepting. It is, again, a suggestion that the film is not just a shocking, headline grabbing cash-in, but one that actually addresses its subject matter in a constructive and positive way. 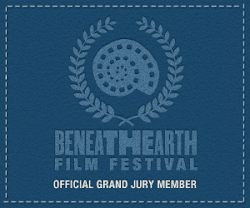 The performances are fantastic – Larson and Trembley keep the film feeling human rather than grandstanding. Even the film’s biggest moment – Jack in the back of the police car – is, although pure trailer fodder, sincerely focussed on the characters and the performances. 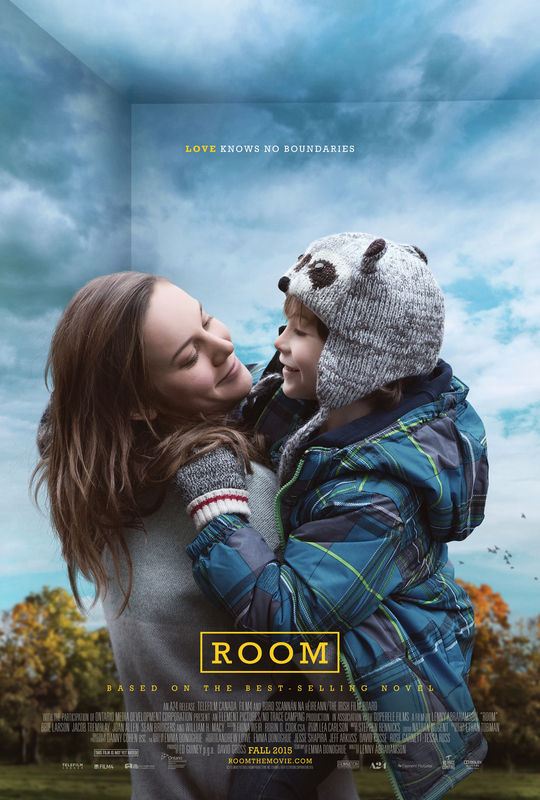 Room feels compassionate as much for their performances as for Abrahamson’s distanced and empathic camera. Room’s greatest success is that it feels like a caring and human film for the majority of its running time, rather than a potentially damaging cash-in. It is a film about a mother’s love and the power and resilience of the human spirit, though one wonders why a version of the Fritzl case was such a necessary angle to address these fairly common themes, if indeed these themes were the primary motivations for writing the book and making the film. That said, Room is a film about the victims, preferring scenes of strength, weakness and recovery over empty histrionics. If one can’t fathom why anyone would make a film like this, it is equally difficult to fathom what cast and what filmmakers could have done it better.